Ethnicity, race, and labels are of course tricky things. There's a ton of crossover and not to mention the fact that most Latinos identify according to nationality. 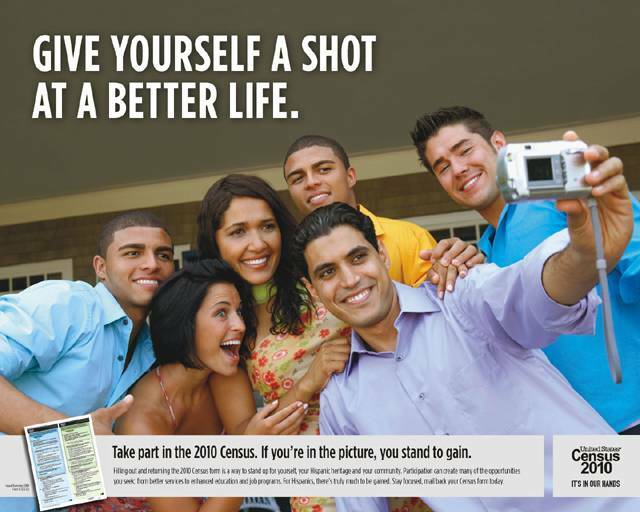 Last August, the U.S. Census Bureau announced it had been experimenting with its questionnaires to create a better way of counting the people it asks to identify on census forms as being of "Hispanic, Latino or Spanish Origin." This could involve creating a mutually exclusive group or a category that combines race and ethnicity on census forms for 2020. The process has picked up steam as the bureau gathers public comment. But it's still a challenge to categorize such a diverse group of Americans. When the Pew Hispanic Center released a thought-provoking report last spring about the ways Latinos and/or Hispanics identify themselves, the resulting coverage sparked a national conversation about ethnic labels. The report pointed out that most survey respondents bucked pan-ethnic labels like "Latino" and "Hispanic," and preferred instead to identify by their families' countries of origin.